It has been shown that cyclic stretch could induce inflammatory response such as pyroptosis and the release of IL-1β in human periodontal ligament cells, through activating inflammasome and related caspases. Though gasdermin-d (GSDMD) has been reported to be present in some inflammatory diseases and function as a crucial executioner of pyroptosis, the role of GSDMD in the stretch-induced inflammatory response in human periodontal ligament cells (HPDLCs) has not been well clarified. In this study, it was found that GSDMD was activated by cyclic stretch, and its activation affected the pyroptotic rate in HPDLCs, leading to the maturation and secretion of IL-1β and IL-18 ultimately. In addition, GSDMD was found to be regulated by caspase-1 directly. 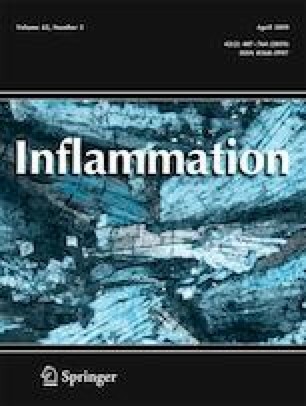 Nevertheless, the exact relationship between inflammasomes and GSDMD in the stretch-induced inflammatory response still needs to be further elucidated. Jiabao Zhuang and Yingying Wang contributed equally to this work. This work was supported by National Natural Science Foundation of China (grant numbers 31470903, 31270991, 30900282), Shanghai Summit & Plateau Disciplines, Shanghai Pujiang Program (grant number 13PJD021), Science and Technology Commission of Shanghai (grant number 10QA1404200, 08411961500, 07ZR14070), and Shanghai Leading Academic Discipline Project (grant numbers S30206-sms02, T0202). The experimental protocol was reviewed and approved by the Ethics Committee of Shanghai Ninth People’s Hospital, College of Stomatology, Shanghai Jiao Tong University School of Medicine. The relevant judgment’s reference number is 96.
de Vasconcelos, N.M., N. Van Opdenbosch, H. Van Gorp, E. Parthoens, and M. Lamkanfi. 2018. Single-cell analysis of pyroptosis dynamics reveals conserved GSDMD-mediated subcellular events that precede plasma membrane rupture. Cell Death and Differentiation. https://doi.org/10.1038/s41418-018-0106-7. Liu, W., J. Liu, W. Wang, Y. Wang, and X. Ouyang. 2018. NLRP6 induces pyroptosis by activation of caspase-1 in gingival fibroblasts. Journal of Dental Research. https://doi.org/10.1177/0022034518775036.